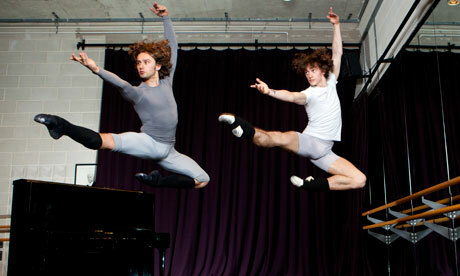 There are so many articles out there now about male ballet dancers we tend not to post them as a rule, but here is a really excellent interview with Ivan Putrov and Serge Polunin about their all-male show this week at Sadler's Wells called Men in Motion. There are interesting anecdotes from both dancers about their lives growing up as dancers. Read it here.